The department of Sanskrit started in the year 1965 for offering two year general course and three year UG honours course in Sanskrit had started in the year 2002 under the University of Burdwan. 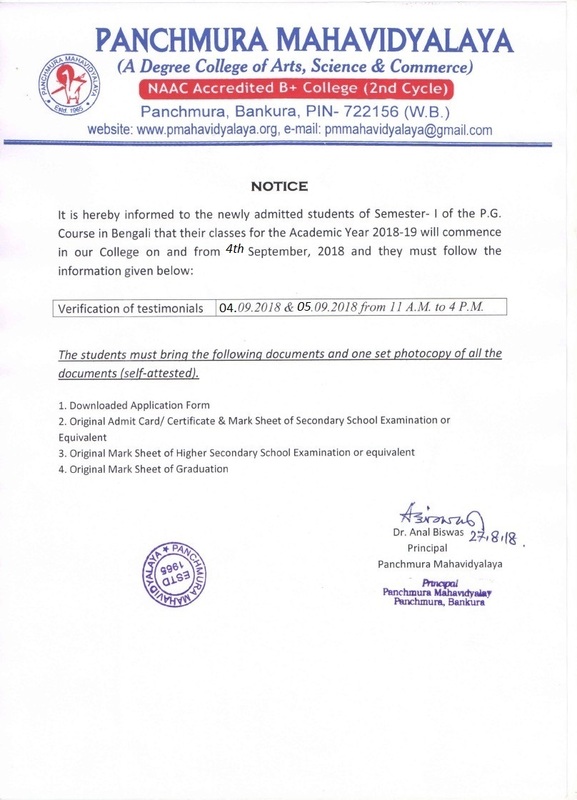 The department is under the Bankura University since 2017-18 Academic session and three year CBCS UG courses are running. The department is running by six experienced, energetic, highly qualified and updated faculty members. Modern tools of learning are used regularly in the classroom and study materials like books, notes are provided to improve the knowledge of the students. The faculty members of the department are very much cooperative, dedicated and friendly to their students. As a result many students got first class from this department beside securing ranks in the university final examination. They have got jobs in colleges, schools and other various institutions. Teacher student relationship is very good and healthy of this department. The academic atmosphere of this department is very much peaceful.